The Chrome browser is simply the centerpiece of a larger table setting; a full-blown operating system that will run without Windows or the MacOS beneath it. It is slated for release in late 2010, and will be based on the linux operating system Ubuntu. Google Chrome OS is an open source, lightweight operating system that will initially be targeted at netbooks, and most of the user experience takes place on the web. It will be designed to be fast and lightweight, to start up and get you onto the web in a few seconds, and will be designed with security in mind. That is, it’s “Google Chrome running within a new windowing system on top of a Linux kernel with the web as the platform. It runs on x86 processors (like your standard Core 2 Duo) and ARM processors (like inside every mobile smartphone). Underneath lies security architecture that’s completely redesinged to be virus-resistant and easy to update. 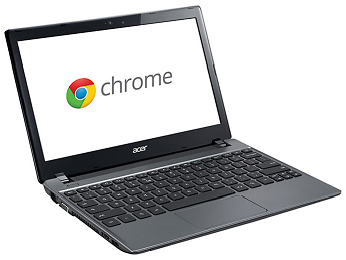 Chrome OS is designed to operate on computers ranging from small netbooks to sull-size desktop systems for people who spend most of their time on the web. Its essentially a Linux distro with a custom user interface running the Chrome browser. If you uninstall everything but Firefox 3.5 on Ubuntu, would that be the Firefox OS? Most of the user experience takes place on the web. The software architecture is simply Google Chrome running within a new windowing system on top of a Linux kernel. It boots directly into the Chrome browser running on top of Linux. The entire experience of Chrome takes place on the Internet, and the web is its platform as well. Chrome OS is somewhere in between an entirely browser-based OS and a generic Linux distro, though leaning toward the former. Chrome is designed with the web in mind, and willl be tied into Google’s extensive suite of services. It will be able to rn Linux-based applications, though it won’t be compatible with Windows. Not unless you use an emulator, such as Wine, to run Windows apps. 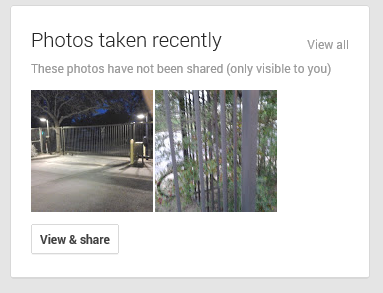 You can already use Gmail offline. I think that will be really indicative of other app experiences in a totally web-oriented Chrome OS with Google Gears. The same goes for Google Docs in offline mode, an option some people have been using for over a year. It’s no coincidence that Google pulled “Beta” off. of its web apps the day it announced Chrome OS. Google has inexpensive, low-power, Linux-based netbooks in mind for Chrome OS, computer hobbist, such as myself will be able to install it on computers they already own. If you have more than one computer, then use Chrome for web browsing, since it is more virus resistant. Provided downloading torrents, You Tube videos and online music is still possible. Then your Windows system will never get corrupted by a virus or spyware. It will be designed to be fast and lightweight, to start up and get you onto the web in a few seconds, and will be designed with security in mind. That is, it’s “Google Chrome running within a new windowing system on top of a Linux kernel with the web as the platform.